Call me looney ... but the health Gods are talking to me. After nine months of a basically healthy diet due to pregnancy, and with no plans to ever be pregnant again, I've had the nagging question, "how would I like to proceed from here on out?" 'Cause really the only expectation I have of my body now is to AGE GRACEFULLY! *Thinking* ... regular exercise and a lot less alcohol would help too. Yet, something else is troubling, my family's track record with diabetes! ... And sadly, there's a strong chance it's coming at me, since diabetes is prevalent on both sides of my family. The harsh reality of diabetes in our family resulted in the death of some, and more recently I have seen family members slip into diabetic comas, one too many hospital visits and they have to constantly needle prick to test their blood sugars. Diabetes affects both the fairly young to fairly old and is a costly disease to have. About a week ago, while at home in St.Lucia, I heard my dad say "he wanted to stop eating meat!" I never asked him, "Why?" I suppose, I could not fathom how a man who has enjoyed a meat diet, could stop now. 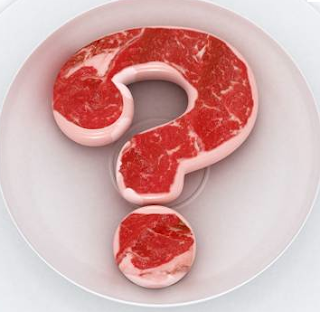 'Though after watching the following videos, meat may just be the problem! First, I saw this 'My Fountain of Youth' video of a Miami-Dade county Incredible 70-year-old woman who defies aging process with a vegan diet of home-grown vegetables and rainwater. But it took the following videos from a Vegan site to show up on my Facebook newsfeed by Dr Brian Clements to explain what his many years of research into health reveals about the effects of the meat based diet on the body, and in particular blood. ... And How to Cure Diabetes and other Diseases.